Do you know how fit you are compared to last year? 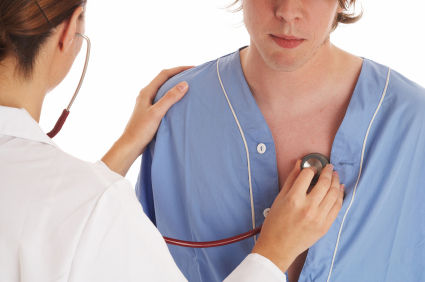 How long has it been since you've had your blood pressure or cholesterol checked or had a full-blown physical? Having regular fitness assessments and checkups can be very beneficial in helping you spot potential health problems before they get too serious. They also help you be more accountable for your health. When I was in junior high, I started keeping track of my height and weight. I've continued to track it each year, along with measurements, body fat percentage, my 5K times, strength tests, and several other indicators. If you want to track your progress, you need to be able to monitor it. This is easily done with regular fitness assessments. Some items like your weight are easy to monitor on your own by stepping up on a scale, but there are also several more unpleasant procedures that people tend to put off like going to the dentist, getting breast exams, pap smears, prostate exams, or colonoscopies. Seeing a doctor put on rubber gloves during a physical is enough to make most people cringe. I used to complain about how unpleasant that is for people until one day a doctor said "Do you really think we enjoy it?" I now empathize with health care professionals as much as I do their uncomfortable patients. I've heard of many instances where having a routine checkup helped someone catch a disease in the early stages before it became life threatening. Remember that an ounce of prevention is worth a pound of cure. A filling is cheaper than a root canal and having a mole removed is easier than treating skin cancer. Develop the habit of getting regular checkups. If you've been procrastinating a checkup or procedure that you know you should have done, but don't want to do, then I dare you to to just do it.